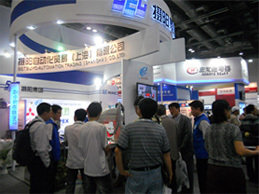 The company exhibited FA-related products at exhibitions in Shenzhen and Beijing. 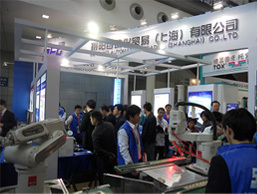 Setsuyo Automation Trading (Shanghai) Co., Ltd. exhibited FA-related products at the 12th Shenzhen International Metal Processing Industry Exhibition held in Shenzhen from March 28 to 31 and the Beijing International Modern Factory Process Automation Technology and Equipment Exhibition held in Beijing from May 18 to 20. Demand for touch panels for smart-phones and tablet PCs is growing rapidly and facility investment has jumped sharply. Advances into China by Taiwanese and South Korean companies are eye-opening in particular. The company will carry out PR among Taiwanese, South Korean and Japanese companies through these kinds of exhibitions, and will aim at the expansion of sales on the Chinese mainland.